Places you visit : Delhi, Jaipur, Pushkar, Agra. 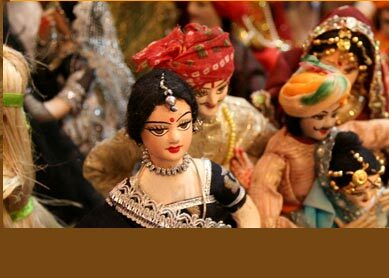 Highlights : Delhi, Jaipur and Agra, three of the most famous historical cities of India. See world famous architectural masterpieces like Taj Mahal, Red Fort, Humayun Tomb, City Palace, and etc. Visit Pushkar, the world famous Hindu pilgrimage centre. Take up this one week of cultural tour, and explore the Golden Triangle formed by three most visited tourist destinations of India, Delhi, Jaipur and Agra. Along with Golden Triangle, the tour also takes you to visit Pushkar, the location famous world wide for its fair and Hindu pilgrimage sites. Starting from Delhi, the national capital of India, you will visit later Jaipur, The Pink City Of India, Pushkar and Agra, the land of one of the most beautiful monuments of the world  The Taj Mahal. Day 1: Delhi. Land at Delhi airport in night, from where you will be transferred by our tour representative to the hotel. stay overnight at hotel. Day 2: Delhi. Take the full day sightseeing of historical walled city of Delhi. Visit many of its important sightseeing places like Qutab Minar, Humayun Tomb, Lotus Temple, India Gate, President House, Raj Ghat, Red Fort and Jama Masjid. Overnight stay at hotel. Day 3: Delhi-Jaipur. After breakfast, drive to Jaipur while passing through villages and seeing its local lifestyle. Reach Jaipur in evening. Spend evening in leisure. Overnight at hotel. Day 4: Jaipur. Enjoy full day sightseeing of the Pink City Of India  Jaipur. Visit its famous tourist spots like Hawa Mahal, Jantar Mantar, City Palace, Birla Temple, Amer Fort and Nahargarh Fort. 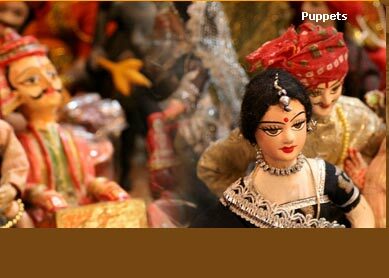 In evening, visit to its popular shopping centres, and shop handicrafts and jewelry items. Stay overnight at hotel. Day 5: Pushkar. Drive for Pushkar in morning. Reach Pushkar afternoon. 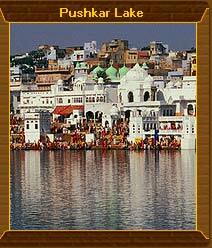 Explore this world famous Hindu site, and visit Pushkar Lake and Pushkar Temple. see evening prayer at the temple. Overnight, you will stay at hotel. Day 6: Pushkar-Agra. Drive to Agra after having breakfast. En route, halt at Sikandara, and visit its popular forts. Arrive Agra in evening. Check into at hotel, and stay overnight here. Day 7: Agra-Delhi. Visit Taj Mahal and other world famous wonderful monuments like Agra Fort and Red Fort in morning. In noon, drive to Delhi, and reach direct to the airport, where you will catch your flight taking you to your home/onward destination. This tour will give you an opportunity to peep into wonderful bygone era and rich cultural assets of India. You will visit three of the most visited tourist spots of the country  Delhi, Jaipur and Agra. Visit to these rich historical cities will stun you watching its several of historical monuments. The world famous monuments, Taj Mahal, Agra Fort, City Palace, Amer Fort, Qutab Minar, Humayun Tomb and Red Fort are to name few of it. Seeing architectural excellence along with accumulating its deeper historical significance will be a unique recreation interesting you very much. Along with Delhi, Agra and Jaipur, you will visit Pushkar also. Visiting its holy Hindu sites is very fine way to know the Indian customs and rituals. Besides, shopping sojourn at many of colourful bazaars at Delhi, Agra and Jaipur will become your favourite way of spending leisure.